Whether it’s birds, mammals, fish, wetlands or habitat restoration… There’s at least 33 branches of biology where a biologist can excel. A biologist career is an exciting field to work in. It’s not only because you’ll have lots of time in the field, but it’s because you are protecting the environment at the same time. Even though it’s a noble occupation, it may not be the easiest path to get your feet on the ground. 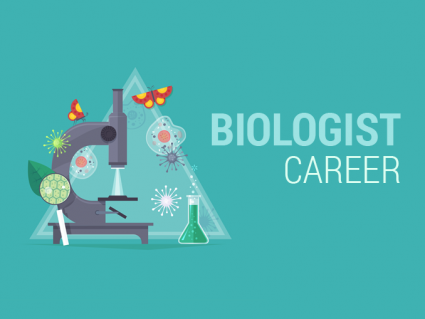 Here’s 7 reasons to pursue (or not pursue) a biologist career. 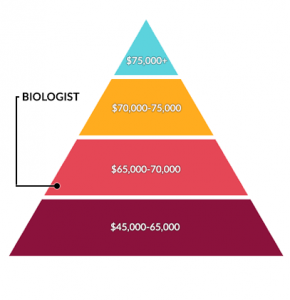 Biologists earn on average about 65,000$. Depending on experience and education, this amount can go up or down. Typical employers are environmental consultants, government and not-for-profit organizations. Consulting tends to pay the best but it’s accompanied with most stress and unbalanced schedule. For biology careers, job growth is steady. The outlook is in the normal to positive range. Out of all careers in Earth science, a biologist career is the type of job that you knew you always wanted. For example, you get to work on a diversity of projects and survey types. And you get paid pretty well doing it. Biologists work in a variety of settings including in the field, laboratory or office. You can have long hours in the field. For example, you may spend hours doing bird migration survey in a remote area wetland. Some weeks you will be working nights doing bat surveys or days of helicopter surveys. Deadlines can be stressful in the world of consulting. But like any job, this can be common. Wildlife biologists are often needed to ensure construction operations are within stewardship policies such as in environmental assessments. By establishing baseline studies, they can confirm construction projects limit risk of endangered animal populations. For example, baseline studies often gather data regarding wildlife populations and/or habitat through observation, recording and analysis of scientific data. Common types of surveys wildlife biologists conduct are audio and visual wildlife surveys during day and/or night. This could include anything from birds, amphibians, reptiles, mammals and all the classifications of life. Biologists work closely with ecologists. Ecologists assess population dynamics and how organisms relate to the physical and natural environment. If there were two complementary skills to add to your repertoire, they would be Geographic Information Systems (GIS) and statistics. Because most survey sites are location-based, this makes the use of GIS very relevant. Each mammal, bird, reptile and amphibian location has geographic coordinates. Therefore, it makes sense to collect, store, visualize and analyze them in a GIS. For example, if you want to know how far an endangered species is to a construction site, GIS can perform this analysis with ease. Statistics is often a good complementary to establish populations and sample size. Although these are not always easy to obtain, your reports become much more meaningful with the use of statistics. Fisheries biologists use specialized sampling techniques to collect fish samples and specimens from rivers and lakes. After they gather the data, they record their findings and submit it in a detailed report. In general, these findings are for management strategies and sustainable fisheries operations. On the other hand, wetland biologists relate flora, fauna, and plant to riparian areas, ponds and wetlands. Finally, marine biologists tend to work in ocean environments and understand how life in the oceans behave in their natural habitats. 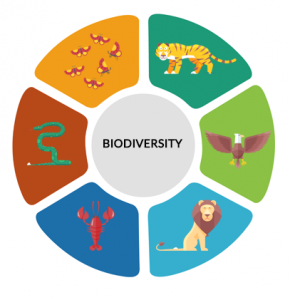 The goal for all these disciplines is to improve the status of various threatened fish, marine life or wetlands. Biologist careers often require a Bachelor’s Degree. The most common degrees are in biology, ecology, environmental studies, wildlife management and sciences. After graduating college, you’ll likely start a biologist career in an entry position like a wildlife technician. If you’re looking to veer promoted, you can increase your chances by earning a Master’s degree or PhD. This will also likely increase your pay scale. Experience goes a long way. It’s important to learn all the ins and outs in a biologist career. Whether it’s new environmental legislation or a new type of government regulation. Expanding your knowledge in this profession is what counts the most to get ahead of the curve. Your search for a biologist career doesn’t stop here. In a biologist career, your job description can vary significantly. For example, there is molecular, vegetation, field, avian and research biologists who all specialize in something unique. 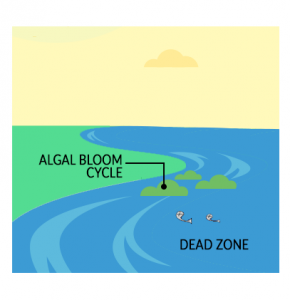 The path to a biology career can be difficult. Especially once you graduate from college. It’s a rewarding discipline because you protect species at risk and the natural environment. This in itself makes biologists a hero to the environmental stewardship and all living things on the planet.